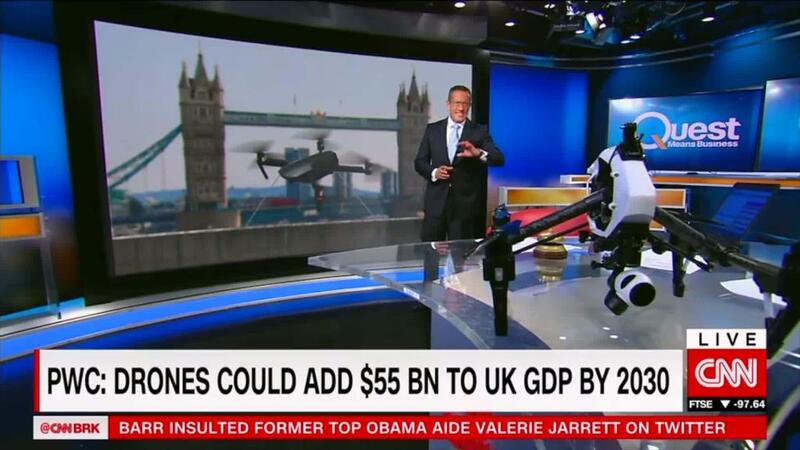 Could drones save the UK post-Brexit? Some of the world's biggest companies in autos, energy and food have urged the United Kingdom to end the confusion over its future trade ties with the European Union. A group representing over 50 major European companies including BP (BP), Vodafone (VOD), Nestle (NSRGF), BMW (BMWYY), and Norsk Hydro (NHYDY) met with Prime Minister Theresa May on Wednesday and warned her that trade between the United Kingdom and European Union must remain "frictionless" after Brexit. "The uninterrupted flow of goods is essential to both the EU and UK economies," the European Round Table of Industrialists said in a statement after the meeting. "We need clarity and certainty, because time is running out." 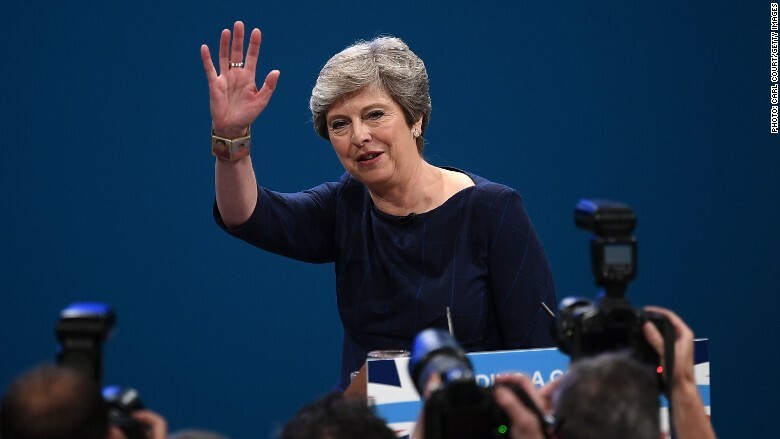 With just 10 months to go until Brexit day (March 29, 2019), May is still struggling to identify -- and negotiate -- a framework for trade with the European Union that is acceptable to her cabinet and EU officials. "Uncertainty causes less investment," the ERT said after the meeting, which was attended by top executives from some of its member companies. The key issues are how to handle the flow of goods after Brexit, and what to do about the Irish border -- the only land frontier between the United Kingdom and the European Union. The ERT said trade must remain as "frictionless as with a customs union." May has ruled out a future customs union, and is considering two alternatives. One would seek to avoid border checks by having the United Kingdom collect tariffs on behalf of the European Union, an unprecedented arrangement that has been dismissed as unworkable by EU officials. The second would reduce the need for border checks through the use of new technologies that critics say don't yet exist. UK customs officials have estimated that filing the trade declarations required to make the system work would cost businesses up to £20 billion ($27 billion) per year. Negotiators continue to shuttle between Brussels and London, but issues that were identified as stumbling blocks a year ago remain unresolved. The UK parliament has hit the government with a series of defeats on key pieces of legislation related to Brexit. Talks with the European Union are set to resume on Monday. UK Prime Minister Theresa May met with business leaders on Wednesday. Experts say the chance that Brexit won't happen is very slim, but the lack of progress and ever tighter deadlines are worrying investors and business executives. They fear a "no-deal" exit that would wreak havoc on the United Kingdom's relationship with its biggest export market. In that scenario, supply chains across industry would be disrupted and trade delayed, threatening production lines, shortages and higher prices. In a statement issued following the meeting with business executives, May's office said it was working to ensure that future trade is "as frictionless as possible." "The prime minister recognized the necessity of providing certainty for businesses," the statement said. Correction: An earlier version of this article incorrectly stated the number of months to go until Brexit.